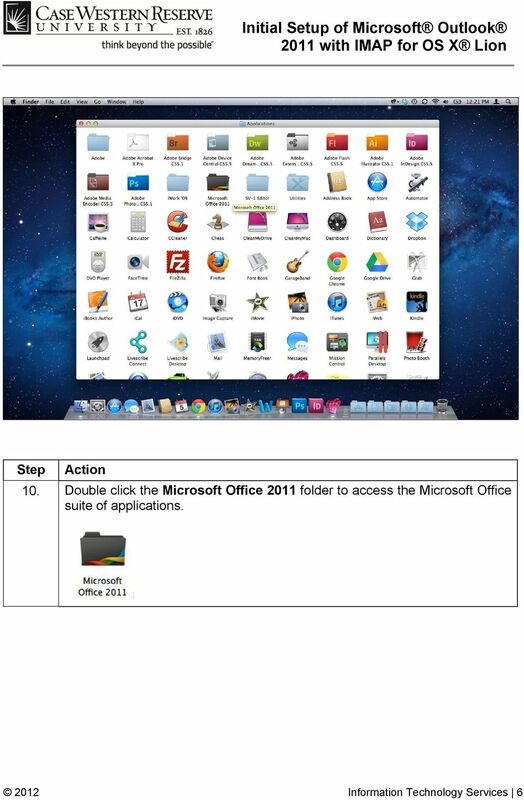 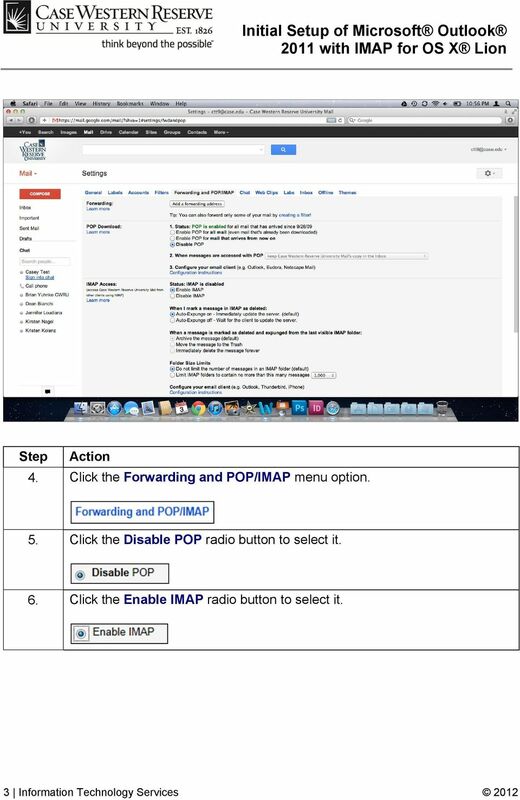 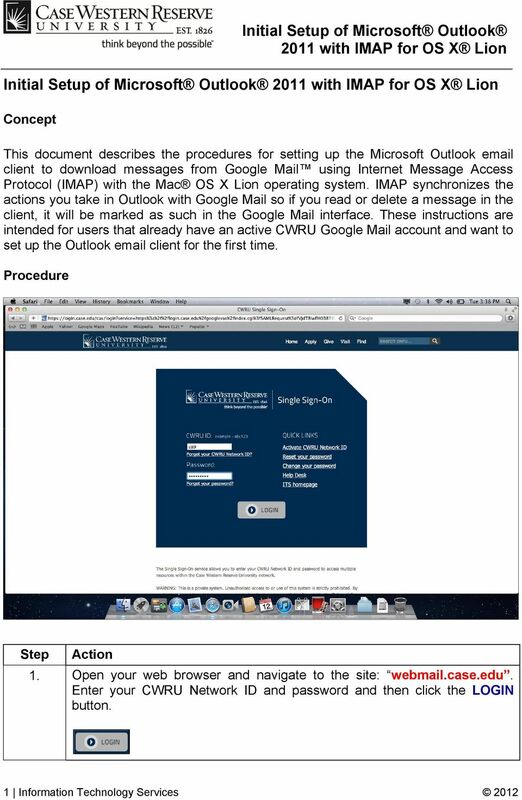 Download "Initial Setup of Microsoft Outlook 2011 with IMAP for OS X Lion"
BUILD YOUR BRAND with every email you send. 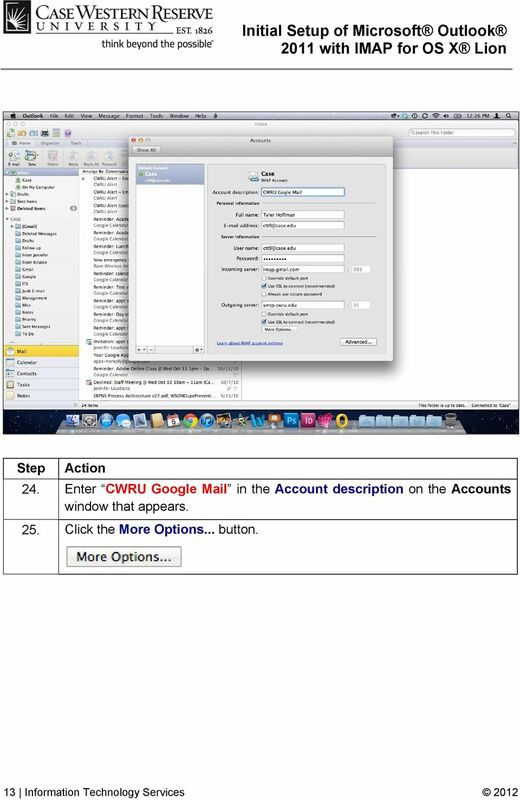 Mail@CPA.com Full Account FAQ & Set Up Guide* * Not applicable to Forward-Only Accounts. 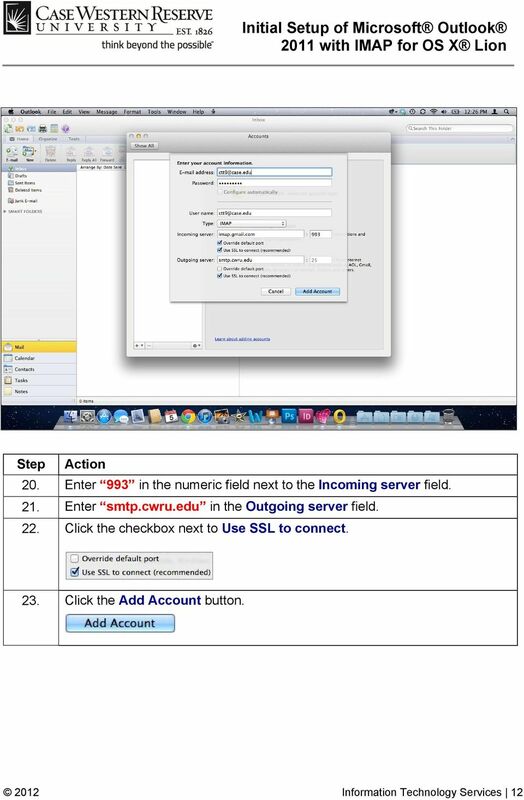 Page Content Table of Contents. 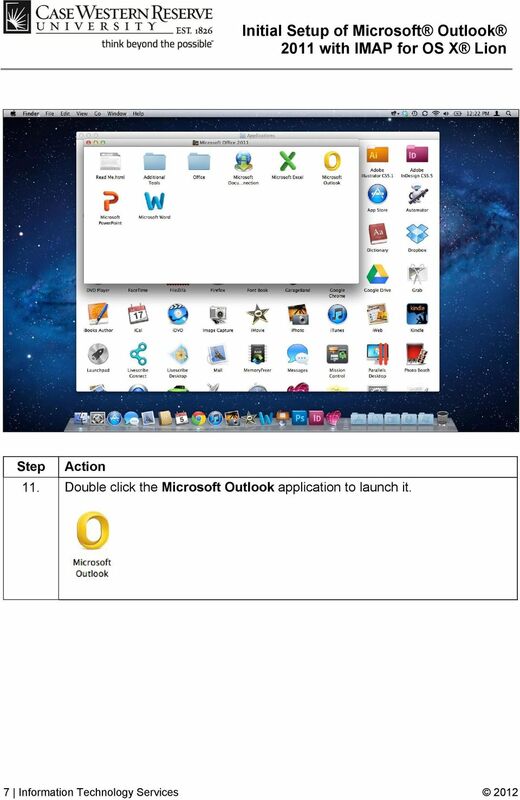 3 Welcome 4 Activating Your New Account. 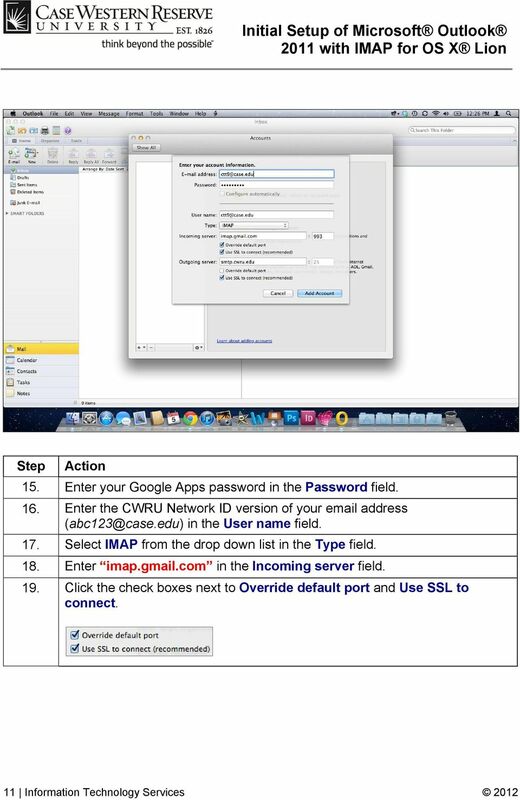 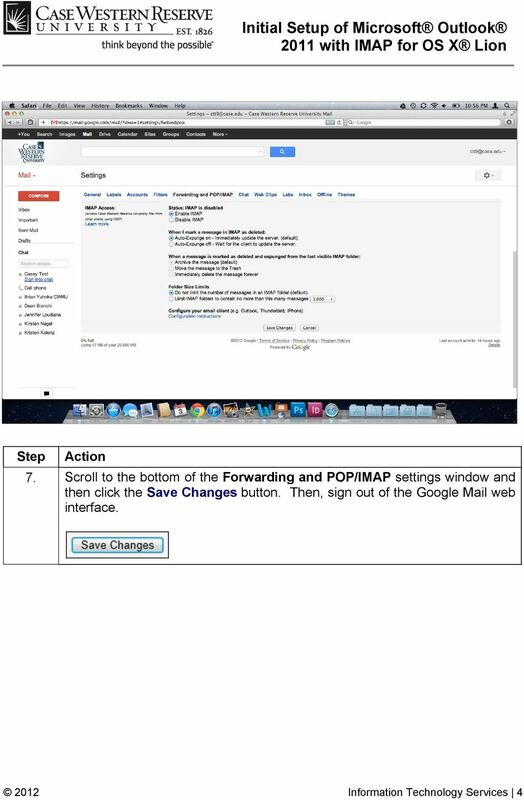 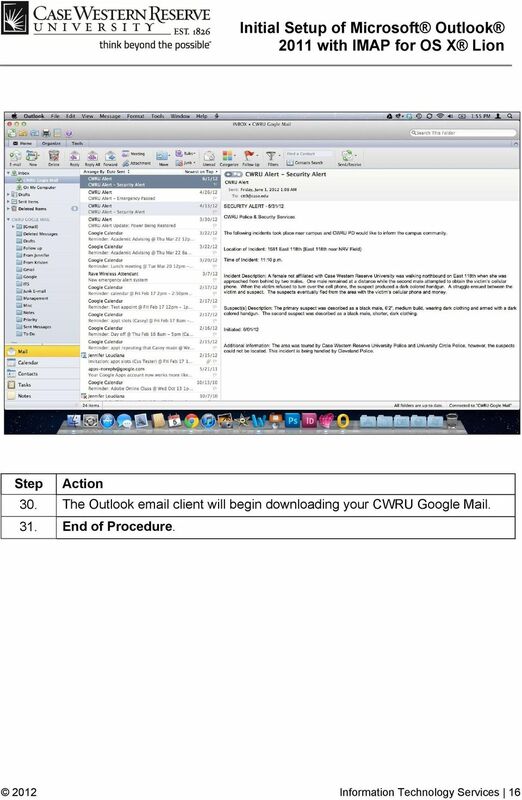 How to move email to your new @students.ecu.edu account with MAC Mail 1. 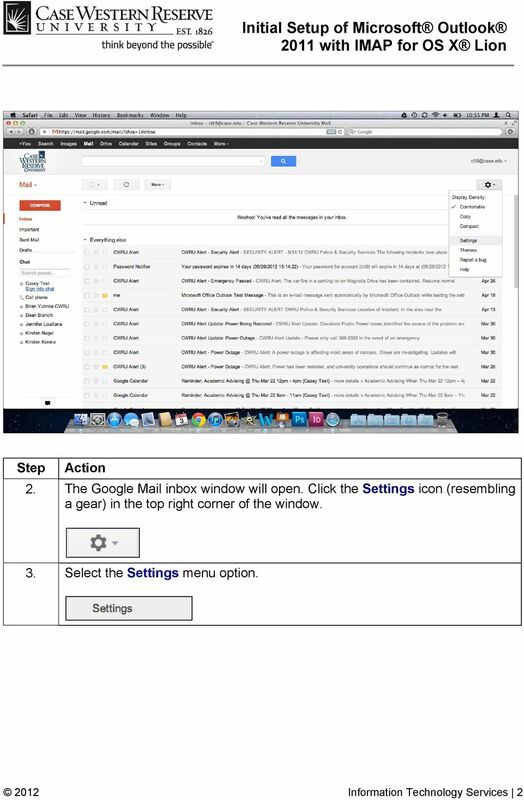 Open Mail, and then do one of the following: If you've never set up any e mail accounts using Mail, the Welcome to Mail page appears. 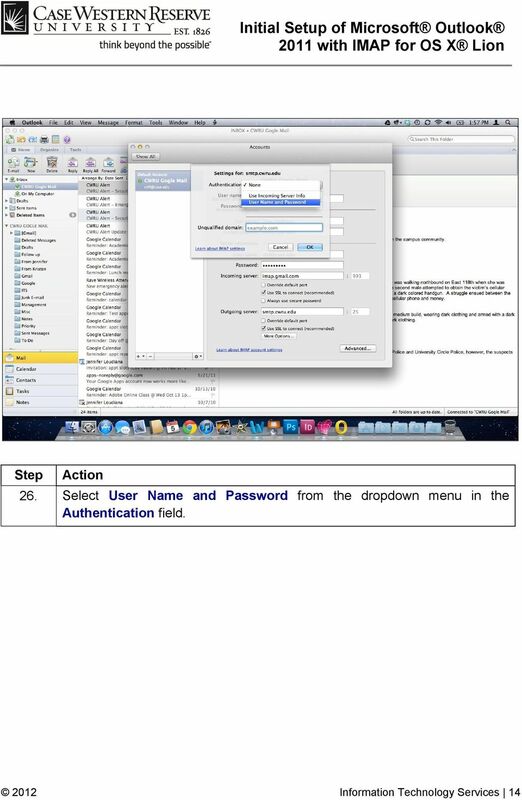 Setup Guides Continental Ltd Staverton Technology Park Cheltenham GL51 6TQ t f e.
Let's Setup Your New Account. 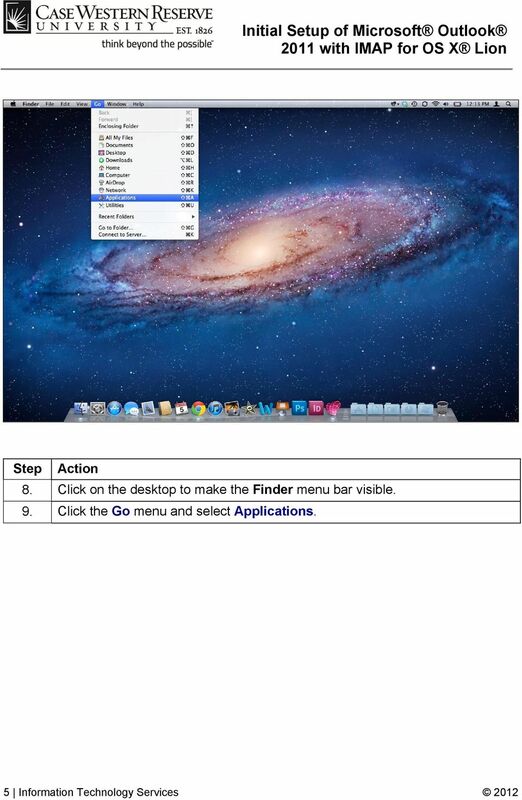 Go to the Tools menu, and then select Accounts from the top menu. 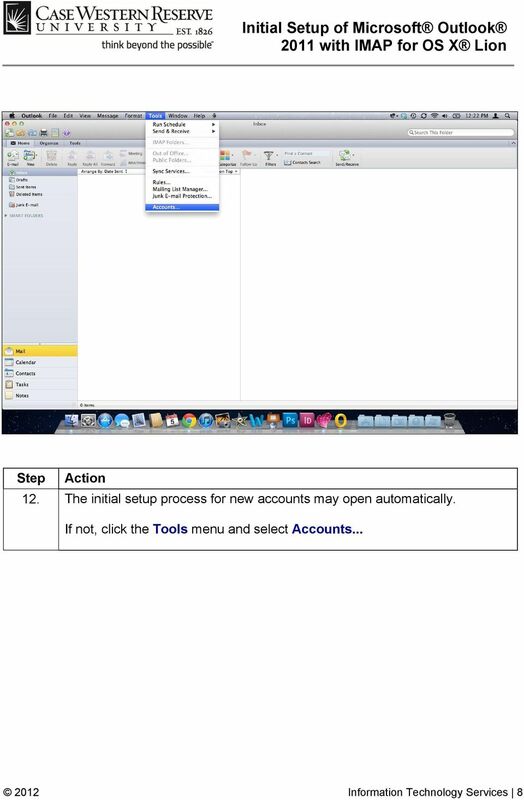 Click on Add a new account radio button and then click Next. 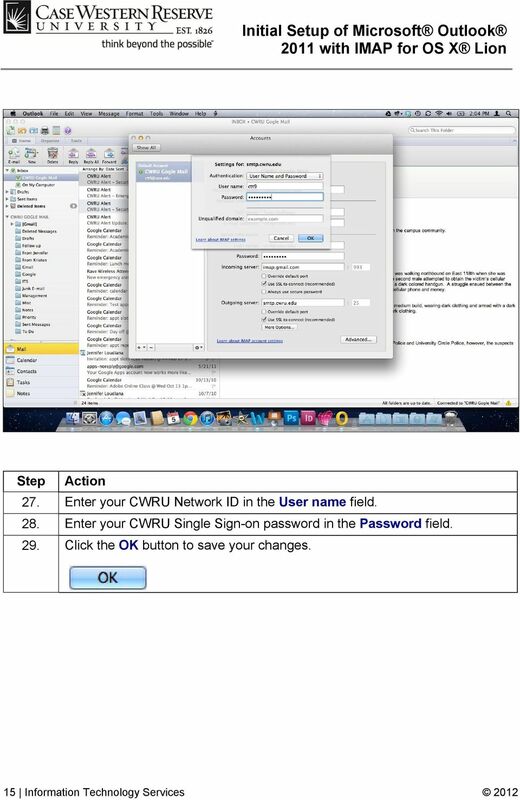 Alberni Valley IT Services http://www.avits.ca admin@avits.ca. 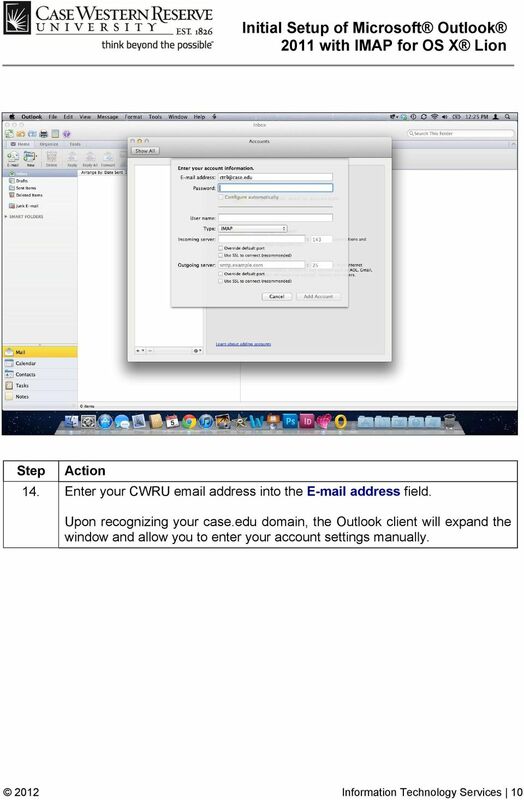 Virtual domain E-mail information. 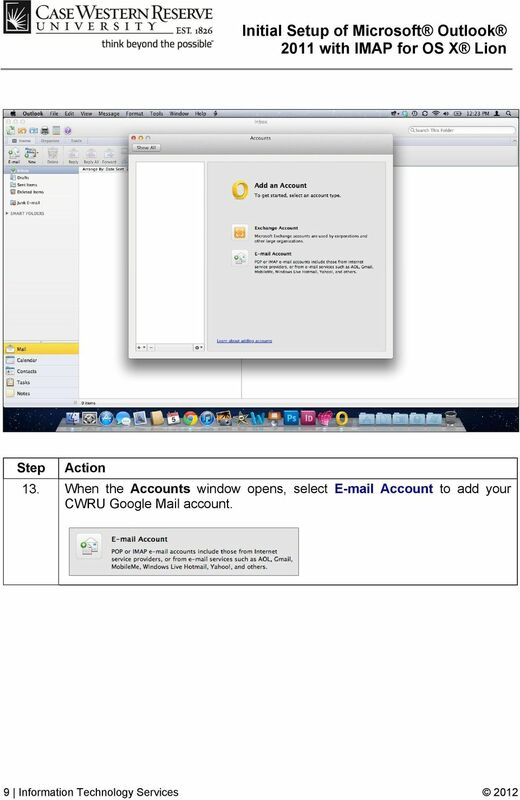 How do I Configure my bmail Account on Outlook 2013 Using the Google Apps Sync Tool?